Investing money and time into systems and advice that you find valuable is easy. However, as your business grows and develops, your financial support requirements change and the type of support you value can also change. From our experience, slow growth start-ups and small businesses can often have a good understanding of their finances with a spreadsheet and little assistance from external advisors. High-growth businesses, businesses with heavy investment or those with very clear goals, will often seek out expert advice and demand more complex financial reporting. Around five years ago, accountancy was a level playing field, with little difference between firms. Now, accountancy has fractured and there is a wide variety of support out there to suit not only your budget but also wherever you are on your business journey. Here at Inspira, we know that we are not the right fit for every business. However, we want you to find the right fit for your business so we have broken our industry down into five categories to help you. Technology has created a wave of online accountancy firms whose primary goal is to make accountancy very affordable. In their quest to keep prices low, these firms generally invest heavily in their own custom online bookkeeping software. This enables them to control how you supply your year-end information and this standardisation makes their processes incredibly efficient. The result is, you do your own bookkeeping and your year end accountants go through their systems with very little interaction. For you, the benefit is that you get very low-cost year end accounts and tax return preparation. However the disadvantage is there is no relationship between you and your account manager. If you have the ability, interest and time to do your own bookkeeping and see your year end accounts and tax returns as simply a form that needs completing, then these firms could be the right fit for you. No matter how much technology we have, there is still a place for the local, traditional, year-end focused accountancy firm. If you are a start-up and you want to sit down and discuss how to proceed, then these firms are a great introduction to the support accountants and bookkeepers can be to your business. The advantage is that you can begin to build that advisor relationship. They are likely to offer you support with your bookkeeping and be open to whatever software or method you use to maintain your records. You will have someone who reviews your figures, offers you advice based upon these and makes sure you pay the correct taxes. The disadvantage is that you will probably only hear from your accountant once a year. This means that they won’t have a deep understanding of your business. It will be up to you to contact them should you want to discuss any changes and potential tax implications. Cloud accounting packages such as Xero, enables you and your accountant to access your figures at the same time. For accountancy firms who want to build a relationship with you that extends beyond an annual meeting, this software has enabled them to do this. How accountancy firms use this opportunity varies slightly. Some may still only view your bookkeeping when you ask them to do so. Others may check in at regular intervals, assist you with completing your VAT Returns or offer to produce management accounts. You’ll notice that these firms often specialise in one or two types of accountancy software. Often, it’s the software where they demonstrate their expertise as they will work with various industries and business sizes. We recommend choosing this type of financial support if you are going to be proactive with your bookkeeping and finances. This means moving away from year end accounting and into weekly or monthly financial reporting. These firms are a great fit if you want to start to consider regular management accounts and begin to understand your finances on a deeper level. Fully embracing cloud technology and combining this with their technical and business knowledge, a growing number of accountancy firms are adding advisory services to their offerings. An accountancy firm that offers advisory services will shift their focus from historical data onto current and future information. This enables you to predict future cash flow and provide you with up to date key performance indicators and financial results. If your business is growing or if you work in an unpredictable or fast paced industry, without having the right in-house financial support, you may find yourself asking questions that neither you or your team can answer. An advisory focused accountancy firm can be a great fit if you are no longer understanding your day to day financial situation as well as you would like, or if you would like to strengthen your current in-house finance team. Here at Inspira, we tailor our financial support and advisory service to suit your needs. Not every business requires a consultancy service but it can prove incredibly helpful if you feel as though your business has the systems in place, but the reports and business insights are not following through as you would expect. At Inspira, we have the skills and experience required to review all your financial systems and processes; from the initial data entry stage, right through to the reports that we discuss with you. We can streamline your systems, create more efficient processes, as well as providing hands on bookkeeping and Finance Director level support. We train and coach your staff, so they are confident and motivated to follow these systems and help you to achieve your goals and targets. By focusing on your business plans and goals, gives you the support you need to build a better business. 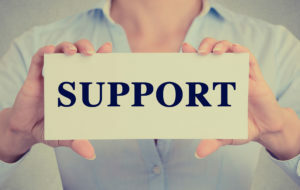 This level of support can be ideal if you run a high growth business or if you want to improve or create a more efficient business, as our focus is in helping you with the ‘how‘. When you begin the process of choosing an accountancy firm to work with, we recommend being open and honest about what kind of support you require. If you and your team have created a finance department that works efficiently and you feel confident interpreting the financial data, then the right accountancy firm for you will be different to someone who hasn’t currently got the support they need to collate and understand their financial information. Think about how often you would like to meet with your accountant. Does location mean more to you than an in-depth knowledge of your industry? With the increased use of technology, you can now choose between a very good local accountant who you can meet with face to face, or a very good, possibly industry specific, accountant who you can have regular Skype meetings with. There are lots of options available to you, so take the time to explore and find one that’s right for you. If you have considered the financial support you require within your business, please get in touch for an informal chat. To keep up-to-date with all our latest news, sign up to our newsletter.